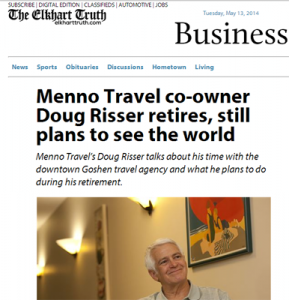 The Elkhart Truth’s Angelle Barbazon has a feature on Menno Travel’s Doug Risser. 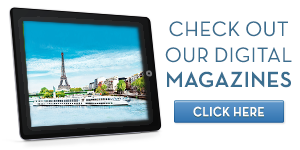 This entry was posted by Kendal Sommers on May 13, 2014 at 2:16 pm, and is filed under Uncategorized. Follow any responses to this post through RSS 2.0. Both comments and pings are currently closed.